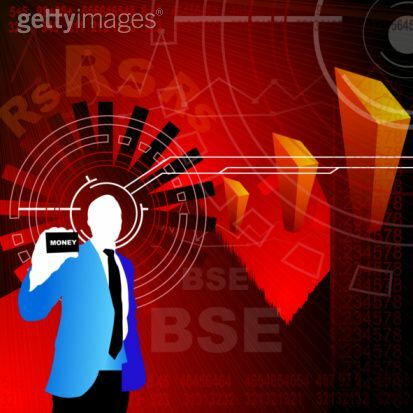 Are you Investing in Indian Stock Market? Unfortunately, many investors who are seduced by the lure of easy money try to become "active" investors before they have the skills, the resources, or the appropriate intellectual framework to do so. This is not to say that investing in stocks is extraordinarily difficult, It is not! However, beating the market on a regular basis is far from easy and requires that an investor bring to the investing process a singular discipline, knowledge, or passion that will allow him to rise above the herd. Like in any other competition, not everyone can win! In fact, for every amount of money that outperforms the market, somebody else's money is not doing quite so well! How can you tell if you are ready to become an "active" investor? Not an investor who buys and sells stocks on a regular basis, but active in the way the academics mean it, someone who selects his own stocks. It is not like there is a licensing process or anything. In fact, there is not even a formal course of instruction. Much like parenting, you tend to find out if you are really cut out to be an investor only after you have made a pretty substantial commitment. 1. If you need the money within two to three years at the least. 2. If you don't like to do math. 3. If you use the word "play," "gamble," or any similar speculation-oriented word when you describe your investments. 4. If you think indexes matter more than what companies you own. 5. If you are unprepared for volatility. A lot of people look at the returns for the stock market only to turn pale at the first loss. If you cannot stand to lose money, you should not own stocks. If you think you will only ever buy stocks that go up, you are not perfect. No system is perfect. No provider of advice is perfect. You can and will lose money at some point during your investment career. You can minimize this loss only if you do your homework and are careful about valuation. But money lost is money lost.